From left: Maj. Shawna Parker, deputy director of revitalizing squadrons task force, Col. Russell Williford, director of revitalizing squadrons task force, Col. Heather Thorne-Albright, Royal Canadian Air Force family advocate, and Chief Master Sgt. Johnathan Hover, chief of revitalizing squadrons task force, pose for a group photo at Luke Air Force Base, Ariz., Jan. 17, 2019. The task force visited Luke to promote practices and identify improvements which need to be made in achieving squadron revitalization initiatives. 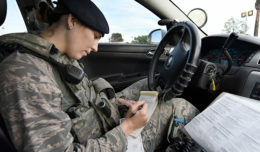 As home to the largest fighter wing in the world, Luke Air Force Base in Arizona often has the responsibility of sharing important practices and methods stemming from the innovation of our Airmen — both in and out of uniform. 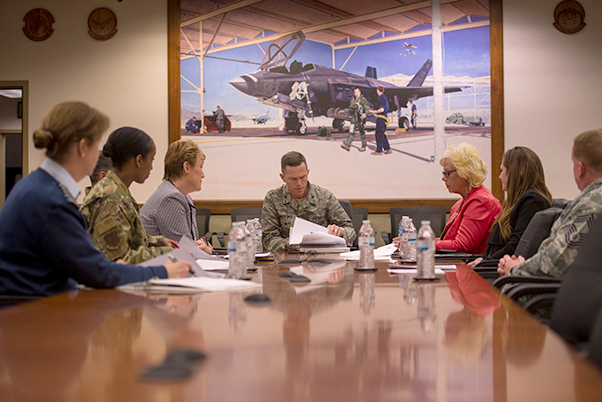 Since Chief of Staff of the Air Force Gen. David L. Goldfein announced his initiative to revitalize squadrons, an assigned task force has been visiting bases and producing visible changes as part of an implementation plan. 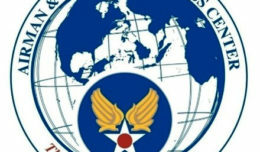 According to the findings in the implementation plan, Col. Russell Williford, Director of the Revitalizing Squadrons Task Force, said there are three key attributes to a successful squadron: verifiable mission success, purposeful leadership and esprit de corps. These key attributes are being implemented through three lines of effort: focus on the mission, strengthen leadership and culture, and take care of Airmen and their families. 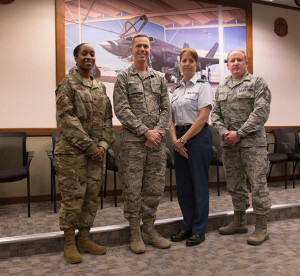 The task force, in conjunction with a Royal Canadian Air Force Family Advocate representative, visited Luke Jan. 17 to promote practices and identify improvements specifically on task three, taking care of Airmen and Families. The plan includes helping squadrons better support Airmen and families by building on their resilience, strengthening family support programs and community connections. Increasing pressures of urban development are a high priority on Luke leaders’ list of concerns. Luke is one of the few Air Force installations that has a dedicated office and staff, the CIT, to foster direct communication channels and build positive relationships with local authorities, community members and elected officials. Williford explained that Luke holds a robust status across the Air Force for the programs it has in place to continually improve the partnerships for Airmen and their families. Col. Heather Thorne-Albright, RCAF family advocate, spent the day touring Luke with the task force to learn from and help improve similar programs in the RCAF. Col. Russell Williford, director of revitalizing squadrons task force, meets with his staff and members of the 56th Fighter Wing at Luke Air Force Base, Ariz., Jan. 17, 2019. Having learned from the task force, Thorne-Albright realized that the policy implementation process was adapted for specific reasons. As the task force continues to work towards the revitalization of squadrons, they continue to learn from adaptive bases and teams of Airmen who are at the forefront of these initiatives, such as Luke.